Join the Ely Stage Stop & Country Museum docents and the California Old Time Fiddlers Association on Sunday, April 3, for the monthly Fiddlers’ Jam in the Ely barn. Musicians will jam round-robin style from noon till 2 p.m.
Spring has sprung on the museum property so make it a day. Bring a lunch and maybe some wine and picnic in the Oak Grove. View the stagecoach, chuck wagon, buckboard and other large display items on the grounds around the barn. Celebrate local musicians and the American music heritage from the Ely Stage Stop Victorian Era. Take a ride up to the house on the hay wagon where you can enjoy the newest displays and learn about antique cookware. Beverages and tasty treats will be provided by the docents in the barn. 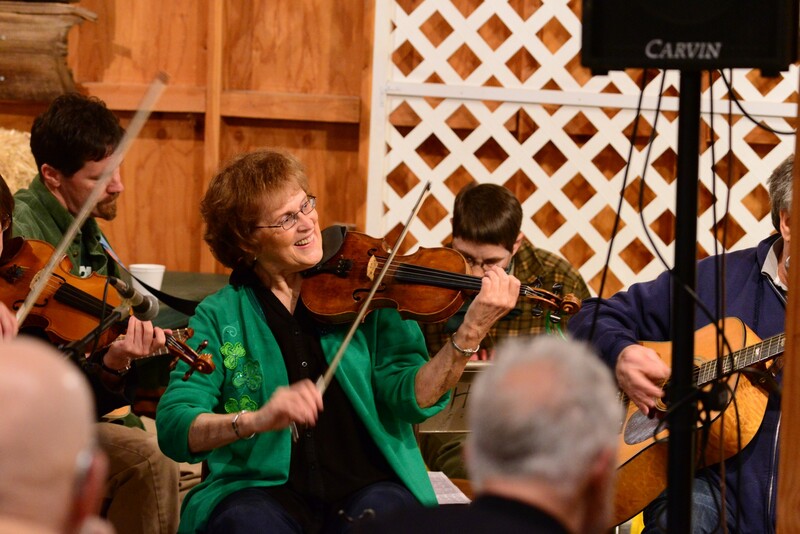 Donations made during the fiddling benefit both the Ely Stage Stop, helping to fund the blacksmith shop, and the Old Time Fiddlers Association, District 10, who uses it to partially fund their scholarship programs. The stage stop, operated by the Lake County Historical Society, is located at 9921 Soda Bay Road (Hwy 281) in Kelseyville. Current hours of operation are 11 a.m. to 3 p.m. each Saturday and Sunday. Visit www.elystagestop.org or www.lakecountyhistory.org, check out the stage stop on Facebook at www.facebook.com/elystagestop, or call the museum at 707-533-9990. Come join the Lake County Historical Society and become a volunteer at Ely or our sister museum, the Gibson Museum & Cultural Center in Middletown. Applications are always available. Andy Skelton leading a lively piece during the March 2016 Fiddlers’ Jam at the Ely Stage Stop & Country Museum. Join the fun this Sunday, April 3, for the regular monthly event. Photo by Greg Blinn. The Ely Stage Stop & Country Museum, operated by the Lake County Historical Society, will be closed Saturday and Sunday, March 26 and 27, in observance of the Easter weekend. The museum will reopen Saturday, April 2. Due to the closure, the March Living History Day, usually held the fourth Saturday of each month, will be canceled. Watch for its return on April 23. The museum is located at 9921 Soda Bay Road (Hwy 281) in Kelseyville (near Clearlake Riviera). Normal hours of operation are 11:00 a.m. to 3:00 p.m. each Saturday and Sunday. Fiddlers’ Jams occur the first Sunday of every month from noon until 2:00 p.m. Living History events featuring local historians are held on the fourth Saturday of every month, again, from noon to 2:00 p.m. Contact number for questions about volunteer work, donations of old wood for barn construction, or docent applications is (707)533-9990. 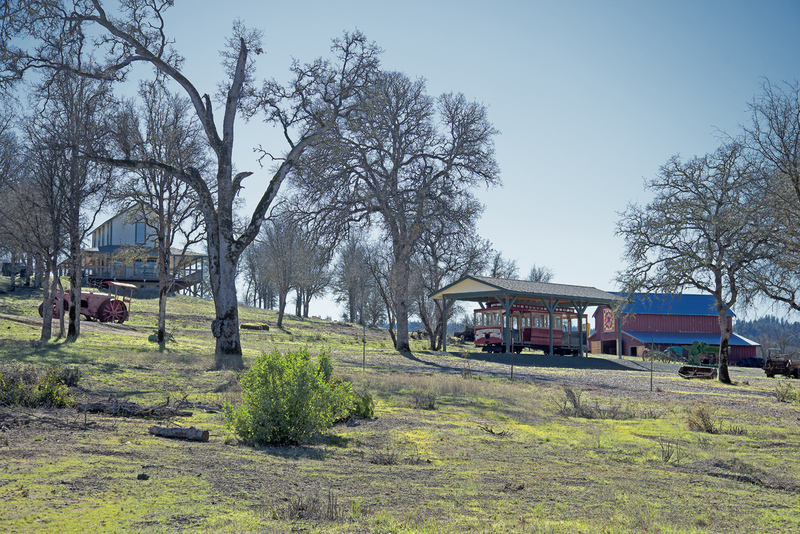 Ely Stage Stop & Country Museum grounds featuring the main house, first barn and authentic San Francisco Cable Car. Watch for announcement of museum events during the year. Photo by Greg Blinn.